This feels like the winter that will never end, and many of us are far too impatient to wait for spring to arrive on its own. Luckily, with these great ways to create spring in the home, you don’t have to! Whether you’d like to create spring for just a few dollars or you’re in the mood for a little splurge, here’s how to infuse your home with the scents of springtime. 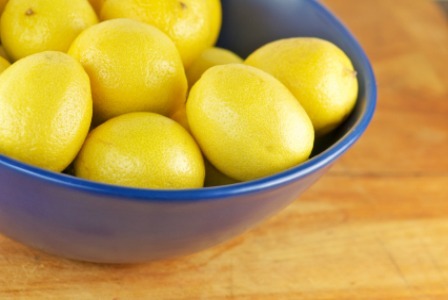 Fill a large bowl with fresh lemons and place them near an open window. The breeze will carry the light and crisp scent of lemon through your kitchen. One of the freshest scents this spring is Williams-Sonoma essential oil candle in Fleur de Sel. Scents of verbena and juniper greet you when you light this candle, and hints of lily, rose and sandalwood deepen the scent. With tart and sweet notes of lemon, lime and vanilla cream, this Key Lime candle from Yankee Candle will make you feel like you live in the middle of a fruit-tree grove. What do you get when you combine the bright aromas of grapefruit and oranges? You get the subtle and happy scent of No. 004, from the Sydney Hale Co.
Pottery Barn’s English Garden diffuser and candle set ushers spring into your home. Light this candle, close your eyes and dream of those warmer spring days. There’s little that invokes the feeling of spring the way the scent of lilac does. For the ultimate spring splurge, try the Lilas candle from Diptyque Paris. At $60, this candle seems pricey, but you’ll get up to 60 hours of aromatic burn time, which makes it feel like a great deal.